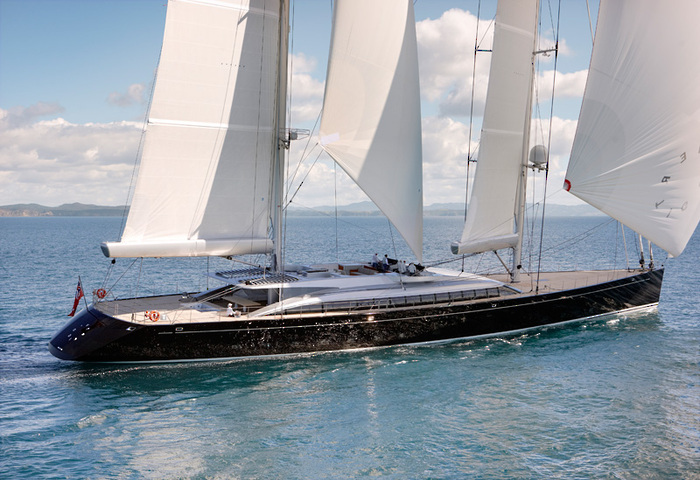 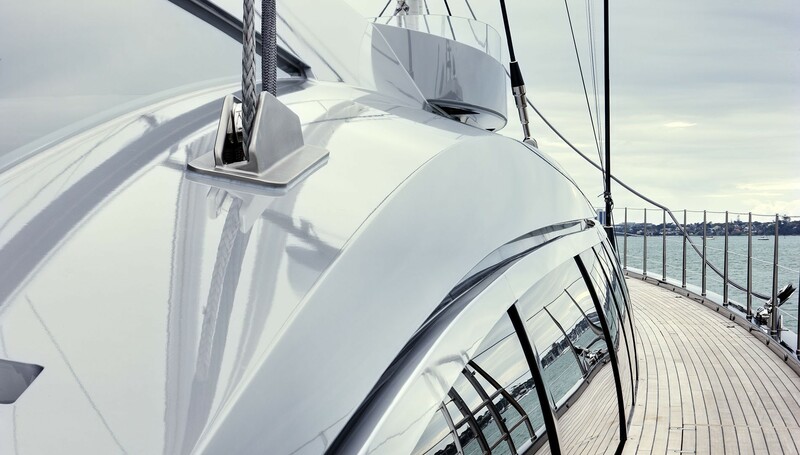 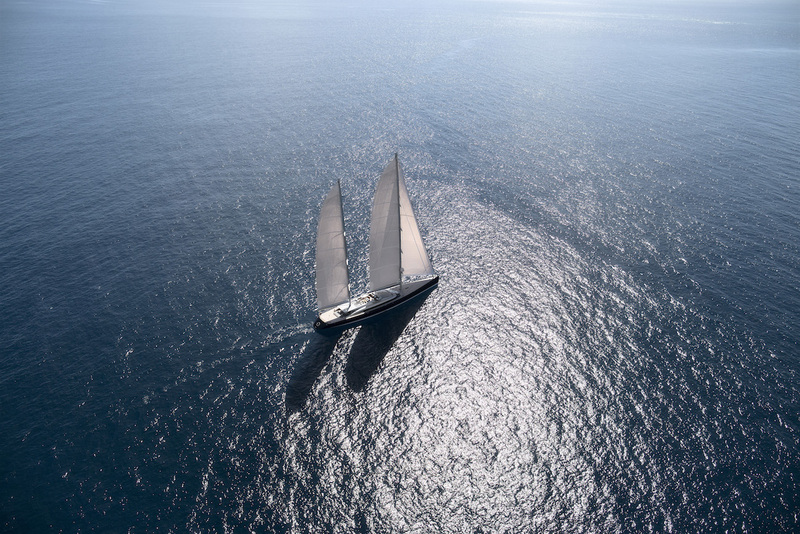 All-aluminium 67m/221ft PERFORMANCE SAILING YACHT was built by Alloy Yachts in 2011 an overseen by project manager Andrew Senn from Australia. 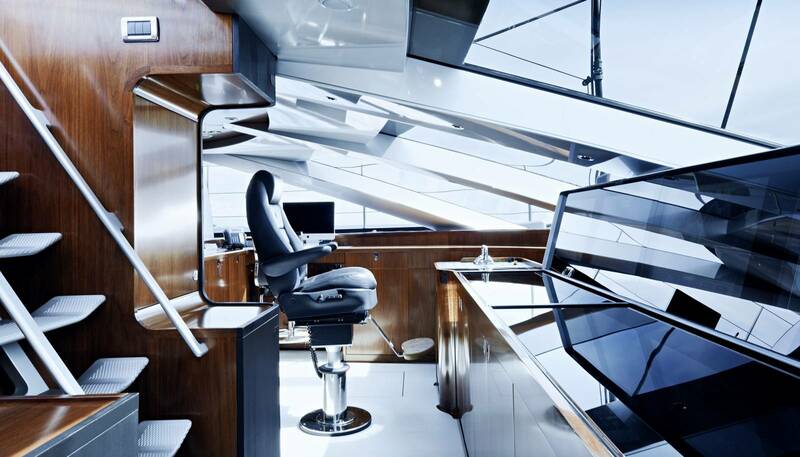 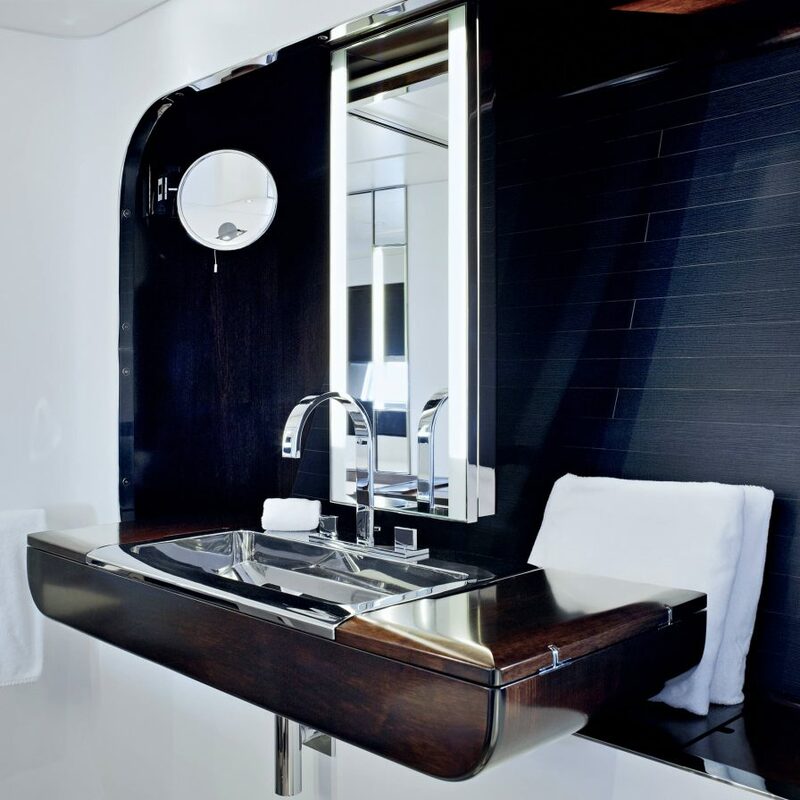 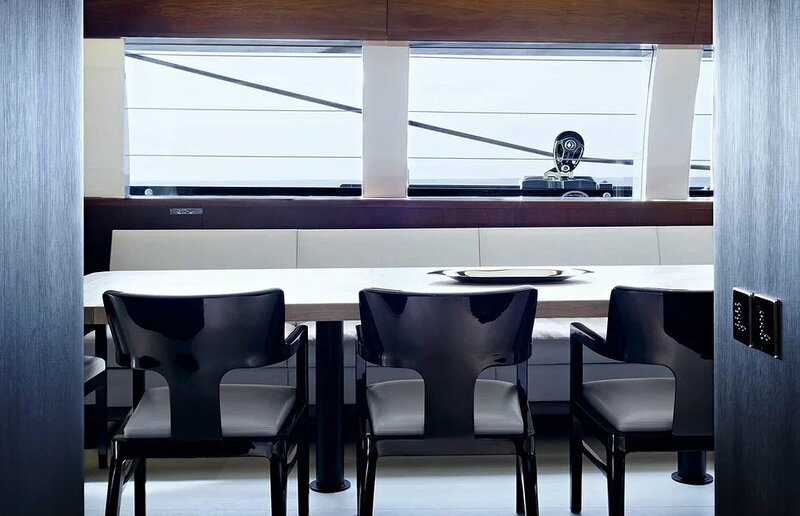 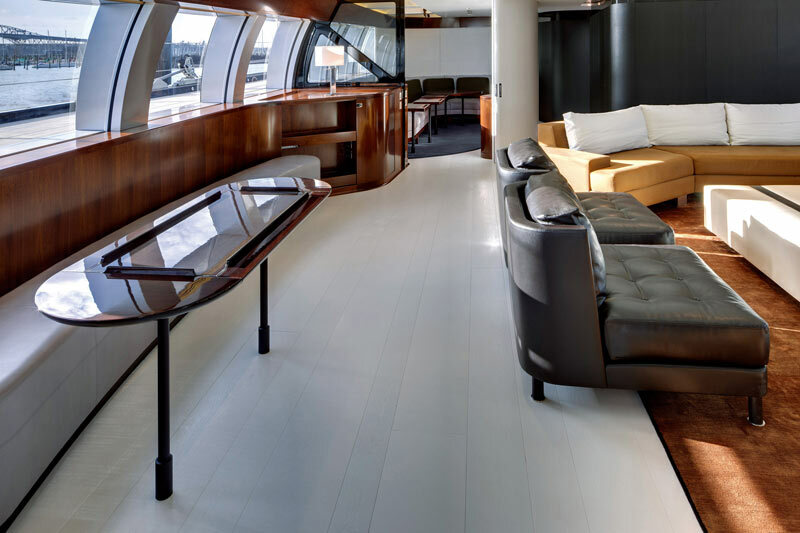 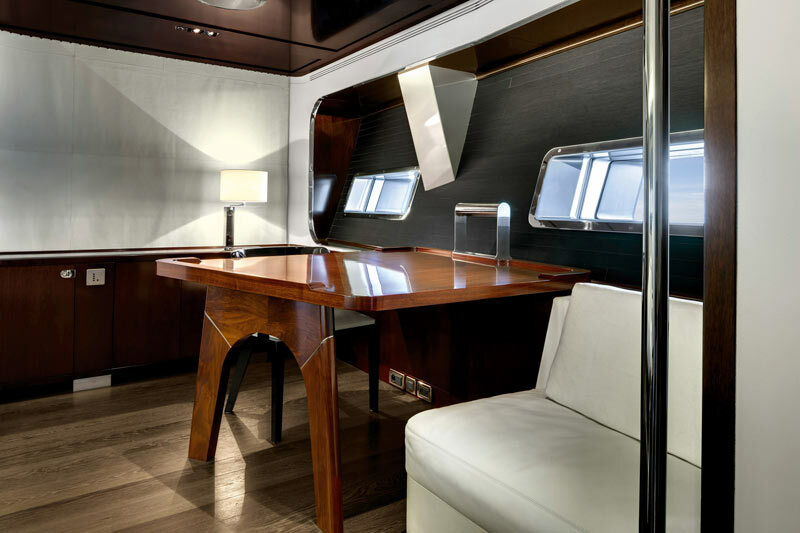 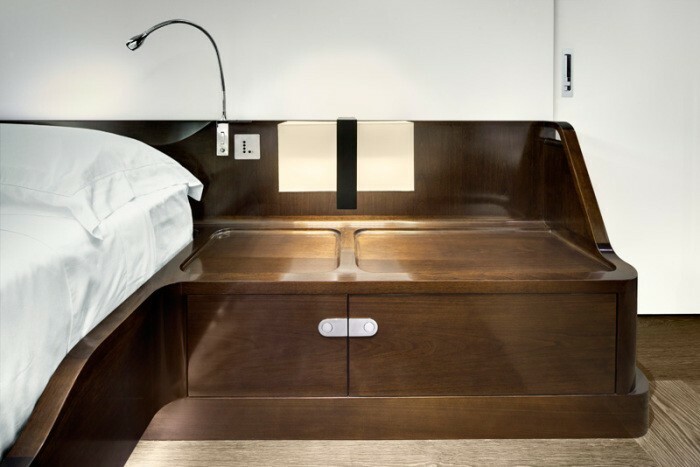 She has the naval architecture and exterior styling of Philippe Briand, the interiors are the work of Christian Liaigre and the layout contains five en-suite cabins to sleep up to 12 charter guests. 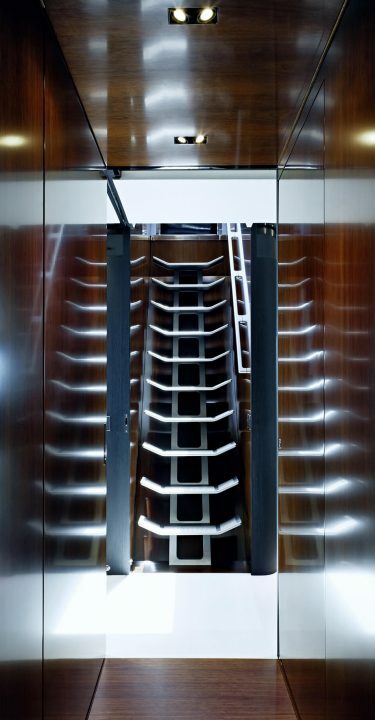 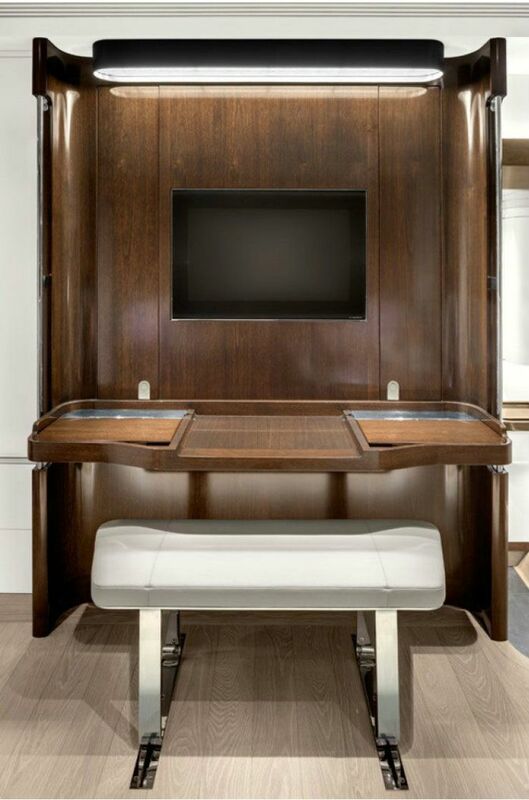 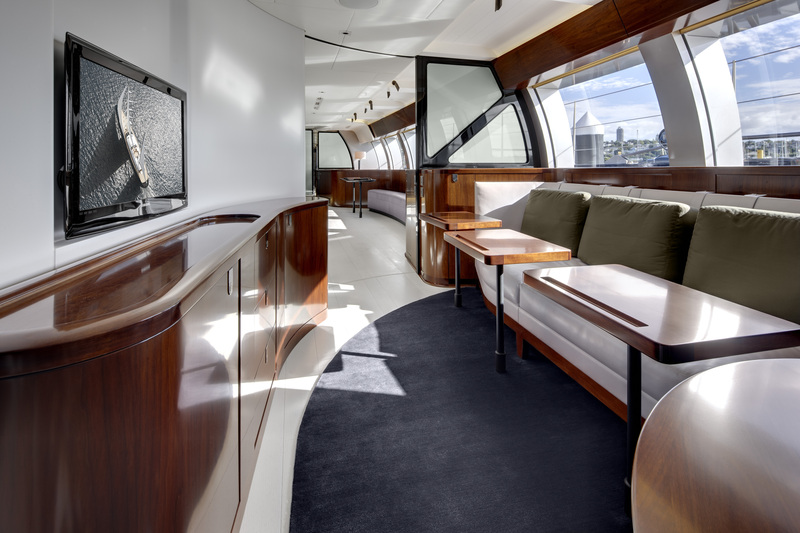 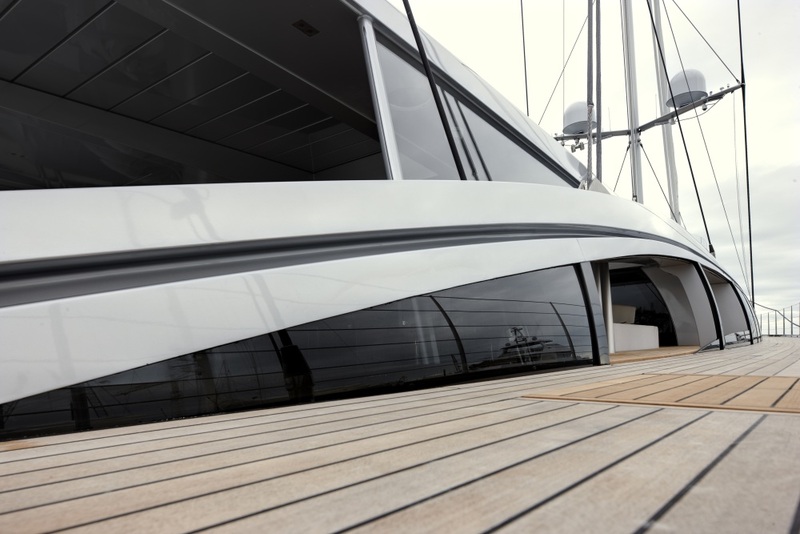 On the lower deck, the transom door folds out to become an extensive swim platform and sunbathing area, representing one of the favourite places to enjoy the sun and water toys during a luxury yacht charter vacation. 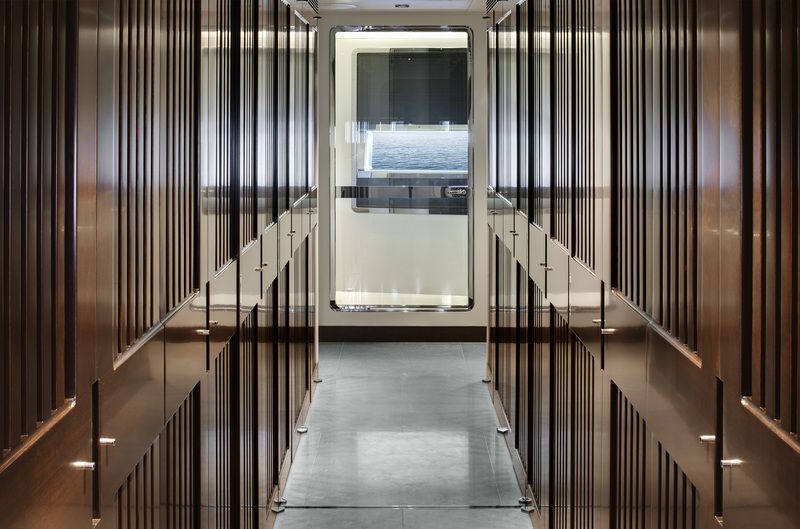 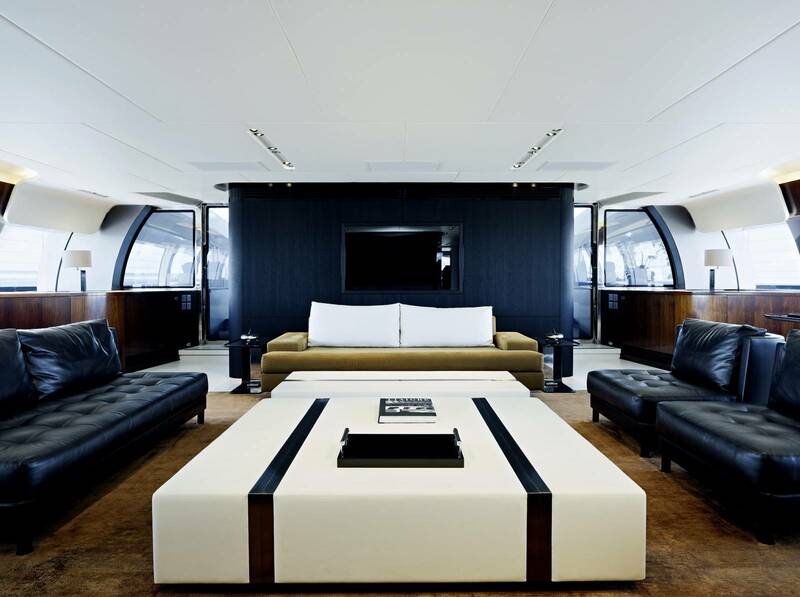 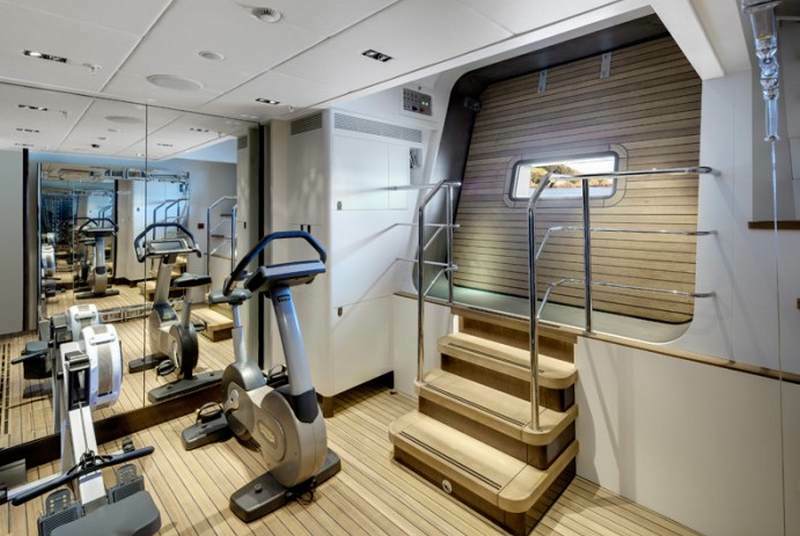 Above deck, the bow has an abundance of space for observation, exercise and sunbathing. 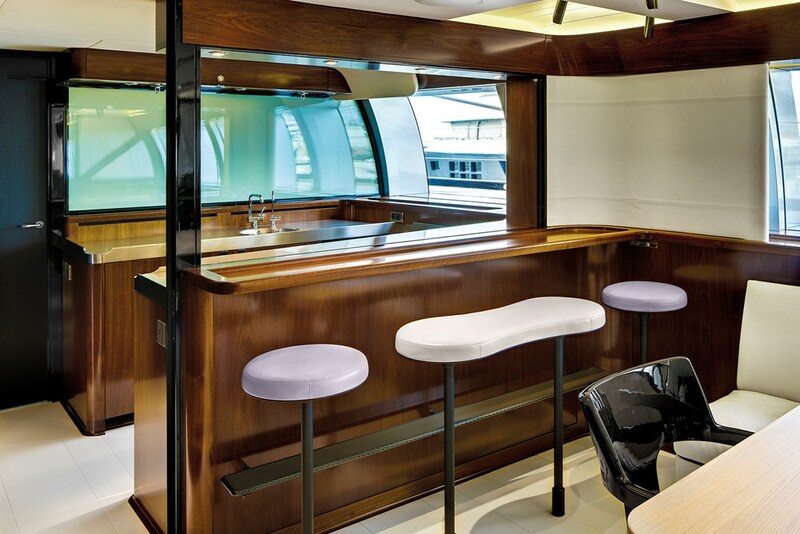 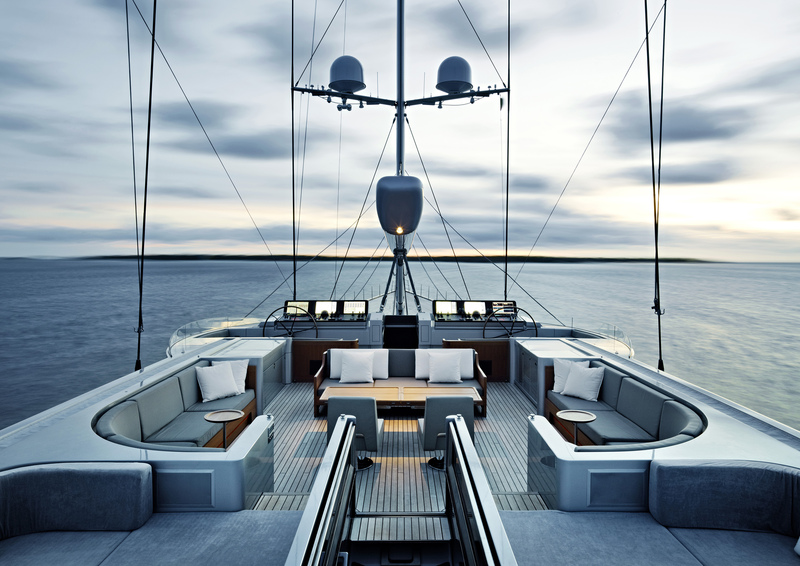 The mid-section offers a shaded cockpit with a sofa lining each side: The port section is a more informal setting with smaller lower tables, while the starboard side has raised tables for alfresco dining. 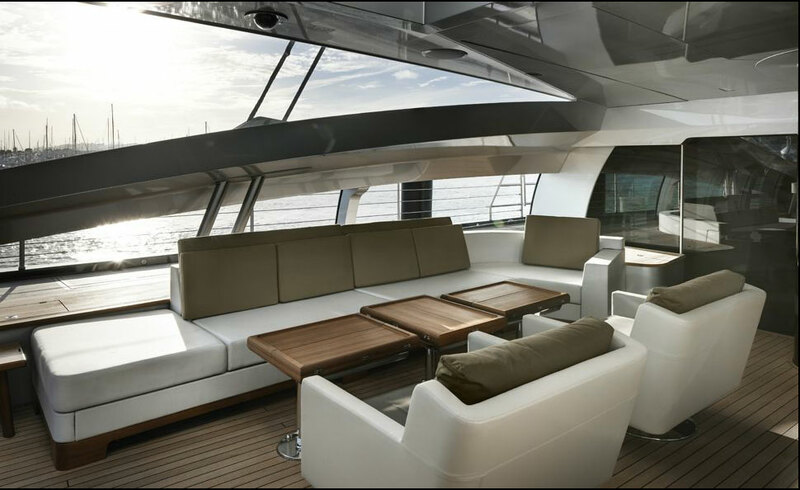 An additional sun-exposed dining table is available that offers guests a grander setting for meals, after which the group can dip into the aft Jacuzzi. 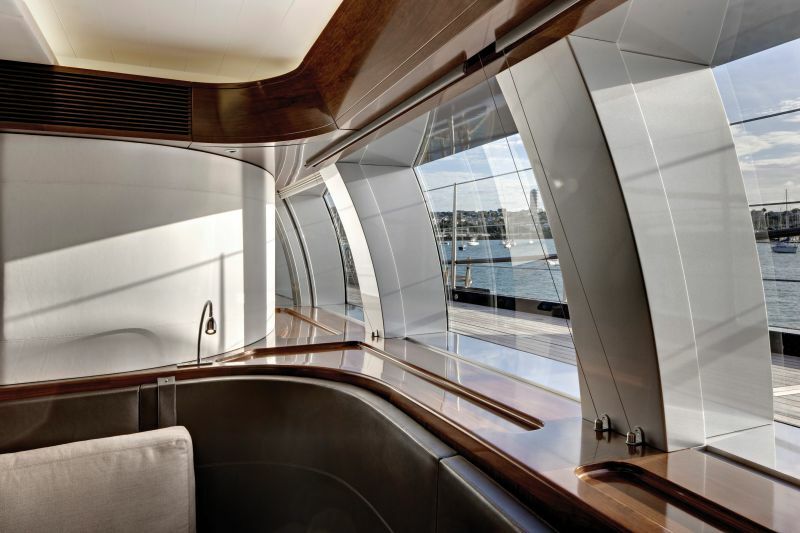 When not in use, the Jacuzzi can be covered to create a sun pad-covered sunbathing area. 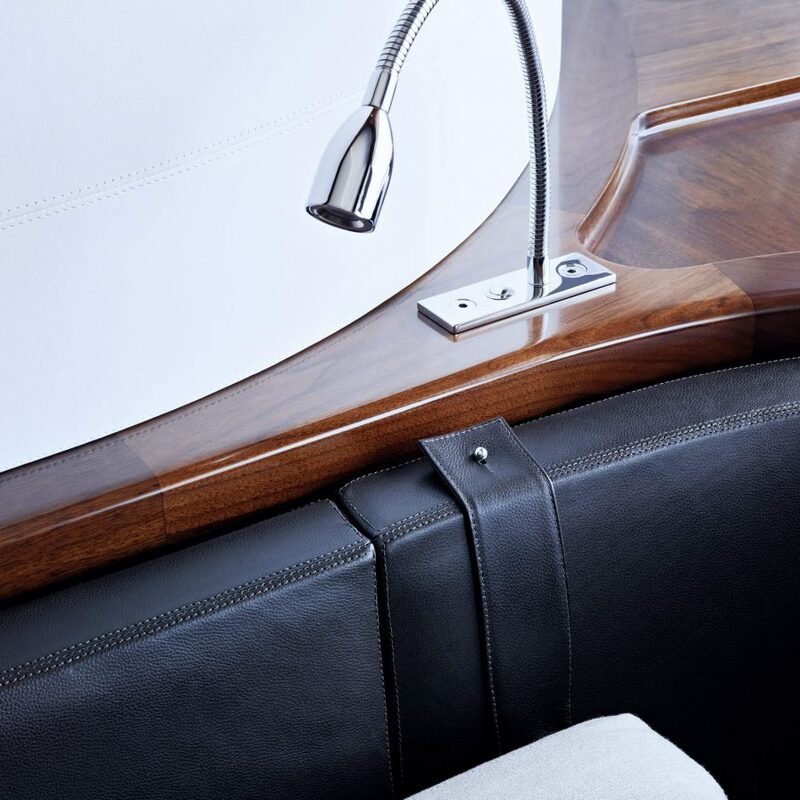 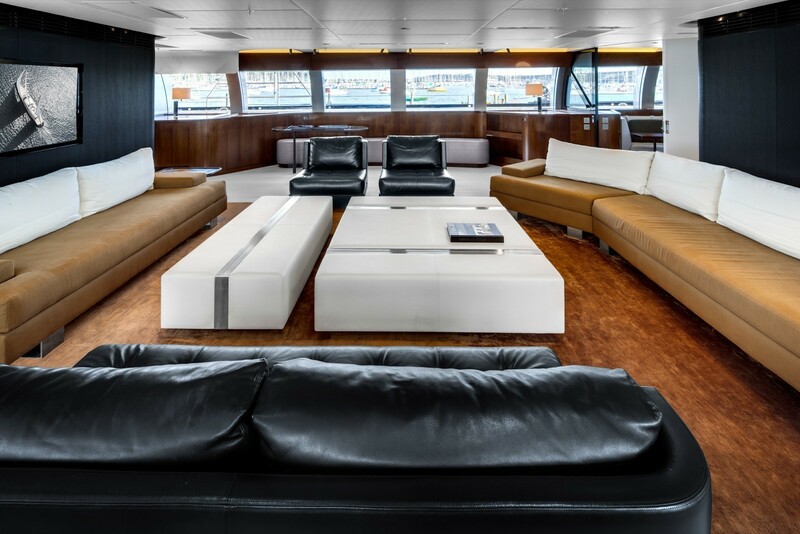 The flybridge can be accessed from the bow or the aft and provides a sunny relaxation space fitted with sumptuous sofa seating along the sides and forward, with sun pads to the stern. 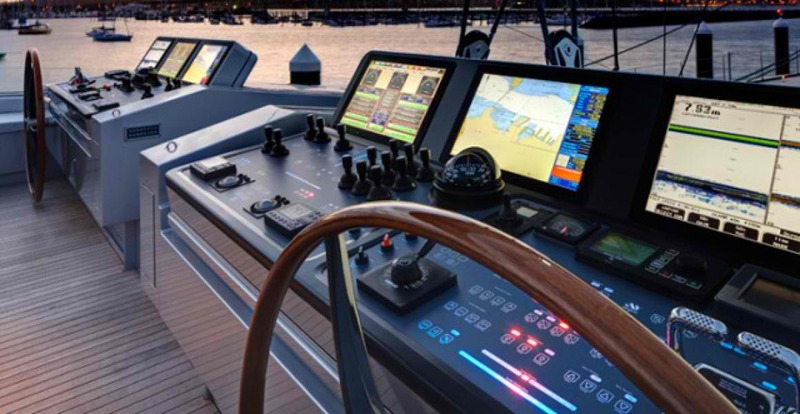 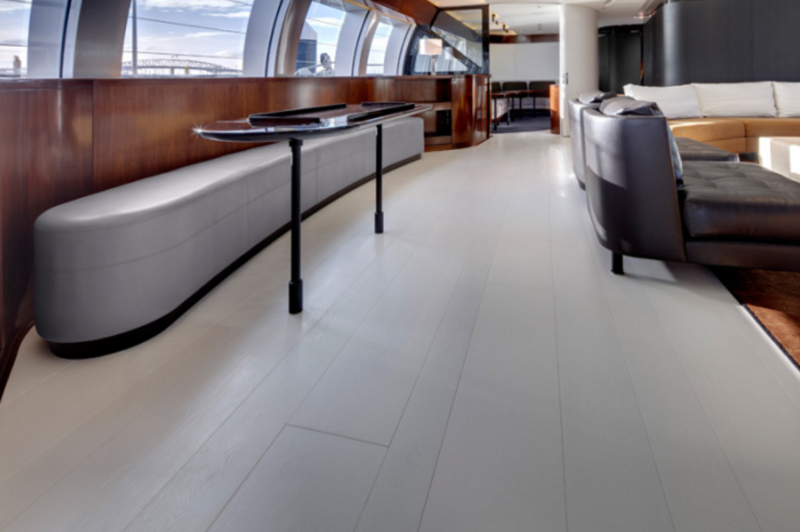 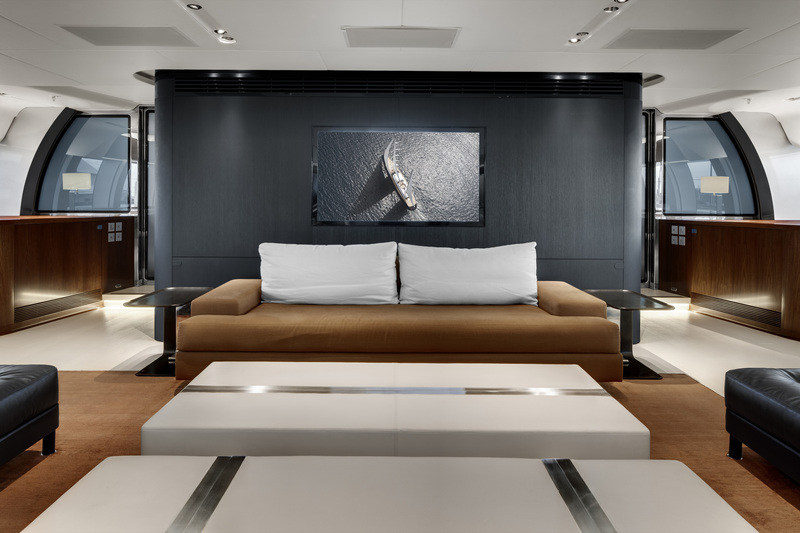 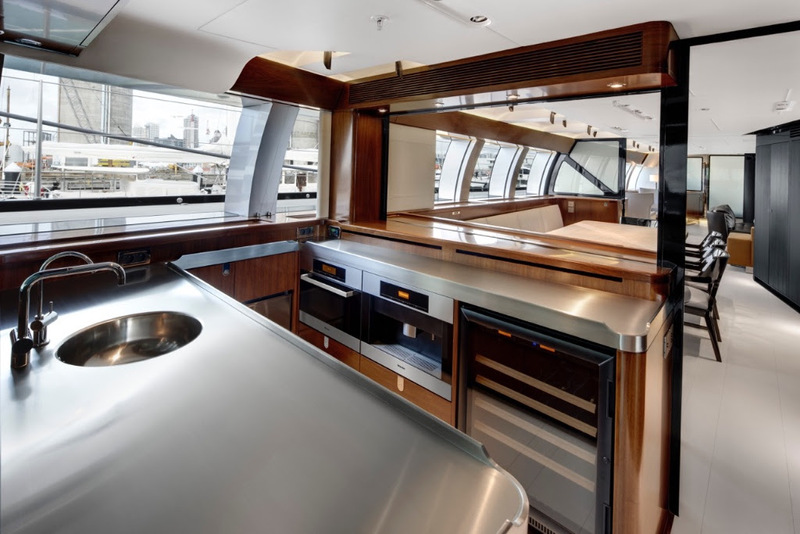 On the lower deck, the stern is designed for tender storage and the section in front hosts the full-beam Master suite with a sofa on each side and en-suite facilities. 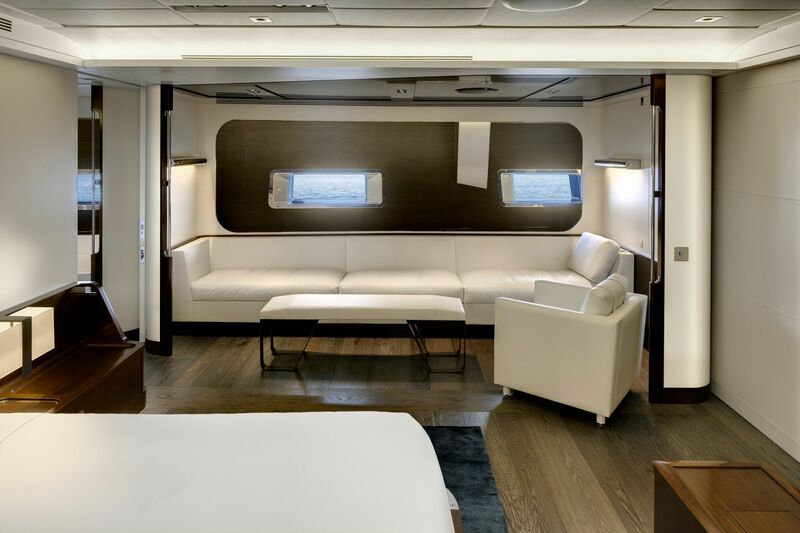 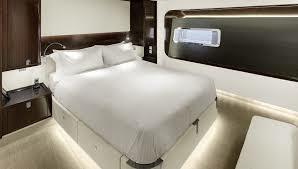 The rest of the guest accommodation is located forward of the Master suite and contains a VIP stateroom, two double cabins and a twin cabin ideal for children. 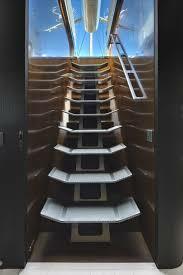 The lower mid-section has a well-equipped gym and a side door that becomes a swim platform with ladder. 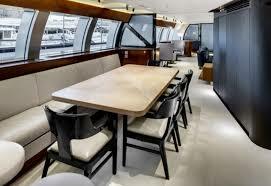 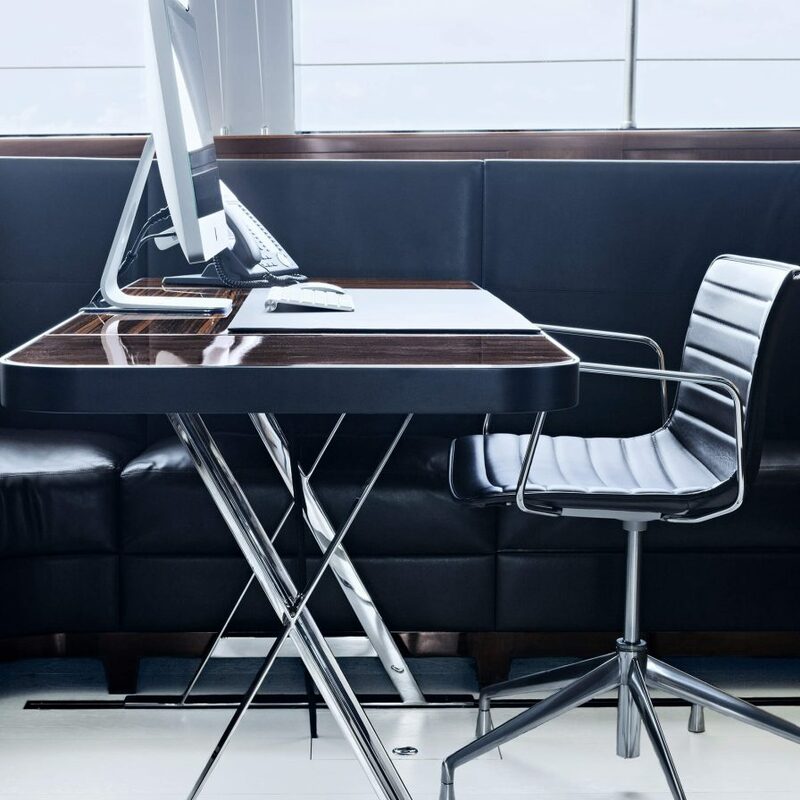 Opposite, there is an additional guest space that can be used as an office. 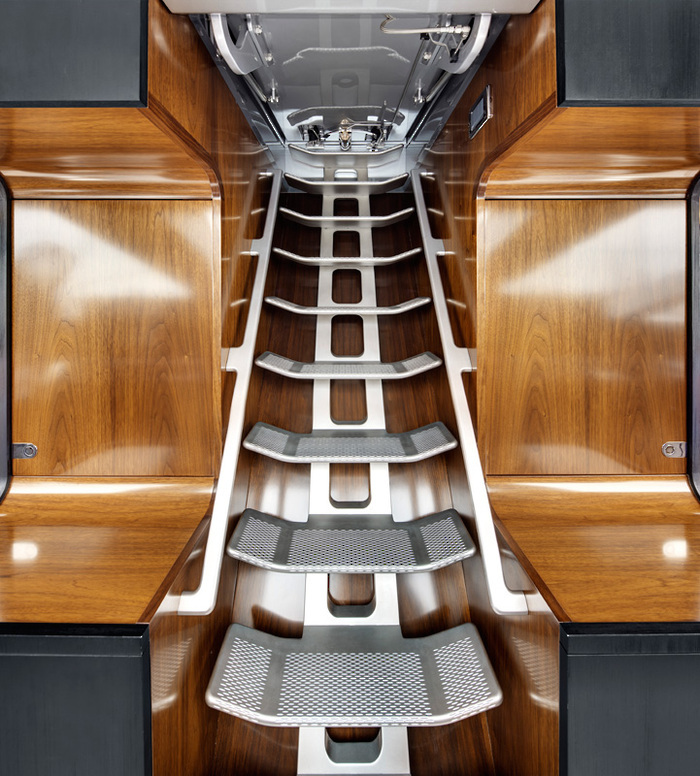 Stairs connect up to the stately main salon designed for comfort and entertaining: A widescreen TV has plenty of options for amusing the family while in transit and the forward area contains a media area/classroom and a formal dining area as well as a bar. 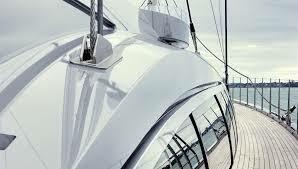 2 x Caterpillar C32 engines provide a cruising speed of 211.5 knots and a top speed of 18 knots. 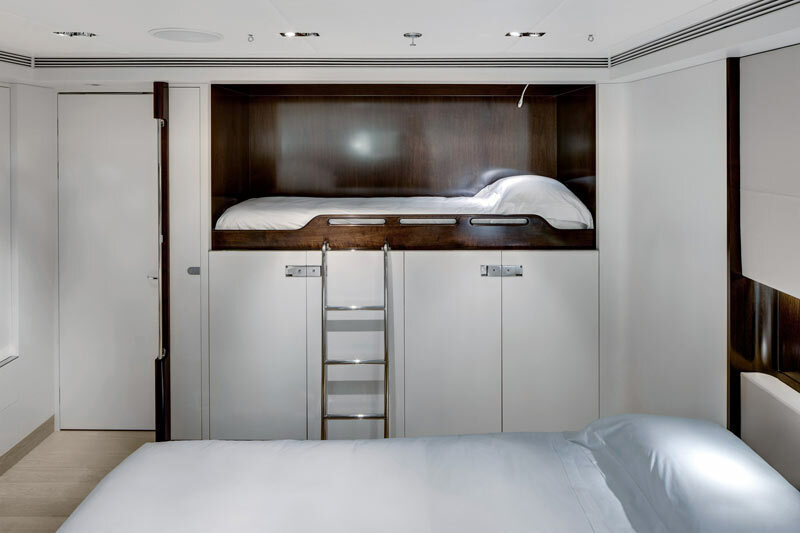 The on board accommodation sleeps 12 guests maximum over 5 en-suite cabins: 1 Master suite, 1 VIP stateroom, 2 double cabins and 1 twin cabin with additional Pullman berths. 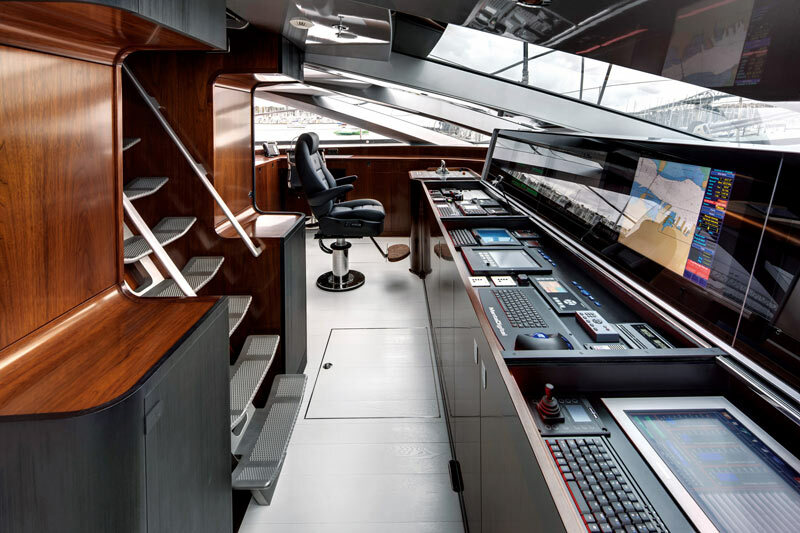 The professional crew of 11 will ensure that everyone on board has a safe and pleasant journey throughout their time on board. 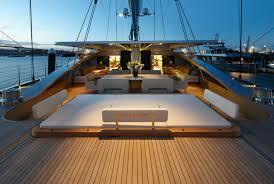 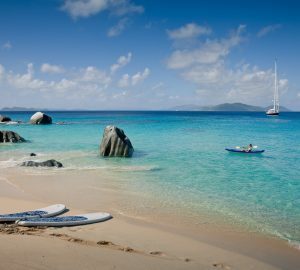 The yacht has a fantastic choice of water toys, diving equipment and even bikes amongst many others.